India is well known for it's tradition and culture, still we keep ourselves updated with modern science without leaving our customs behind. Our country has mastered the art of collaborating past with the present seamlessly. 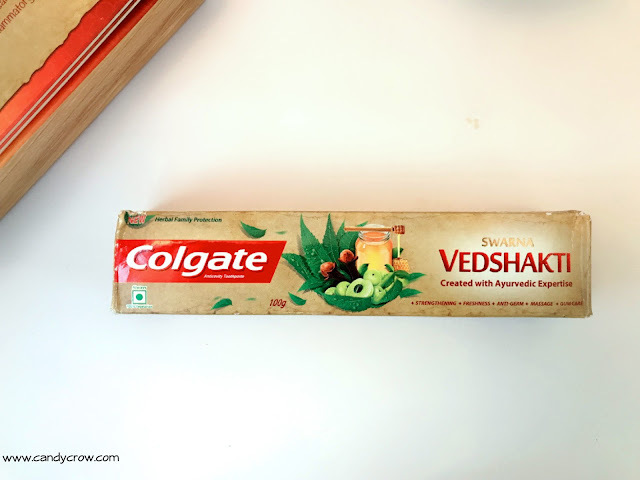 This same concept has been followed to create NEW Colgate Swarna Vedshakti toothpaste. 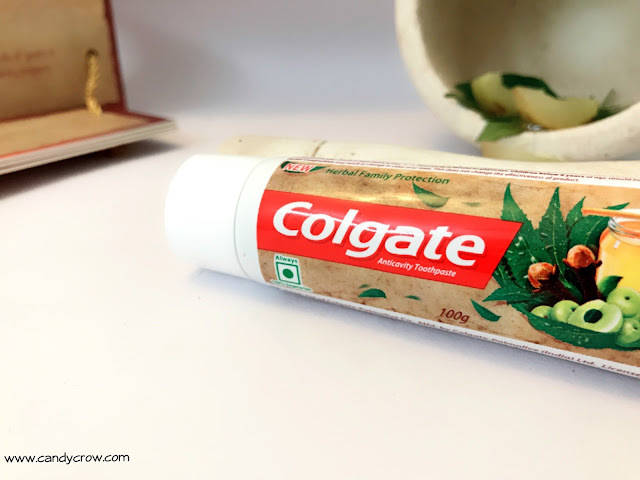 Colgate is well known for their tooth care products for over many decades, they have incorporated traditional oral care ingredients in their new toothpaste so that we could get the "Best of both worlds." 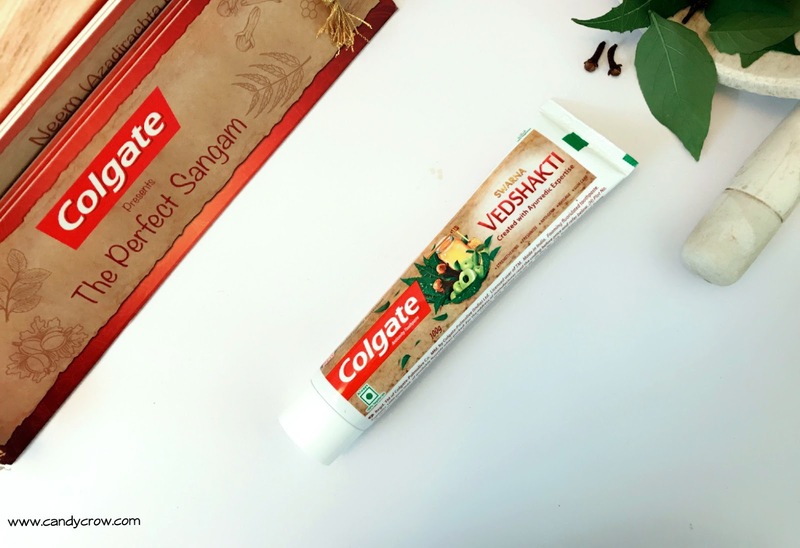 With the help of Ayurvedic expertise, New Colgate Swarna Vedshakti has incorporated some fantastic traditional ingredients like Tulsi, Neem, Aloe vera, Clove, and Honey in their toothpaste. All these ingredients are not only traditional, but they have also been proved to be beneficial scientifically. 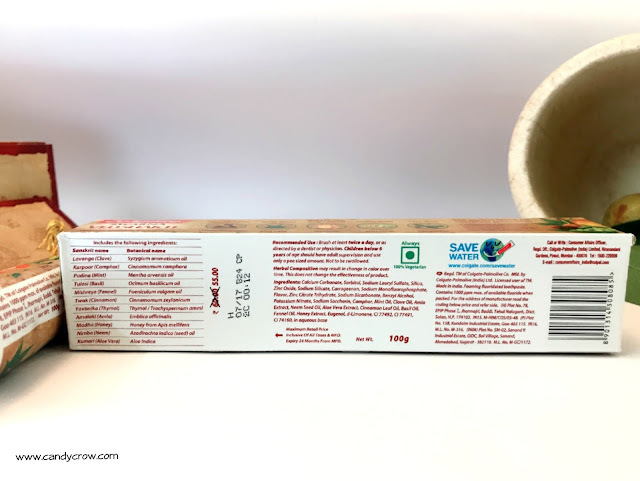 Tulsi, it is present in almost all Indian households, and has been renowned in Ayurveda for Millennia, is proven to kill bad breath and freshen the mouth. 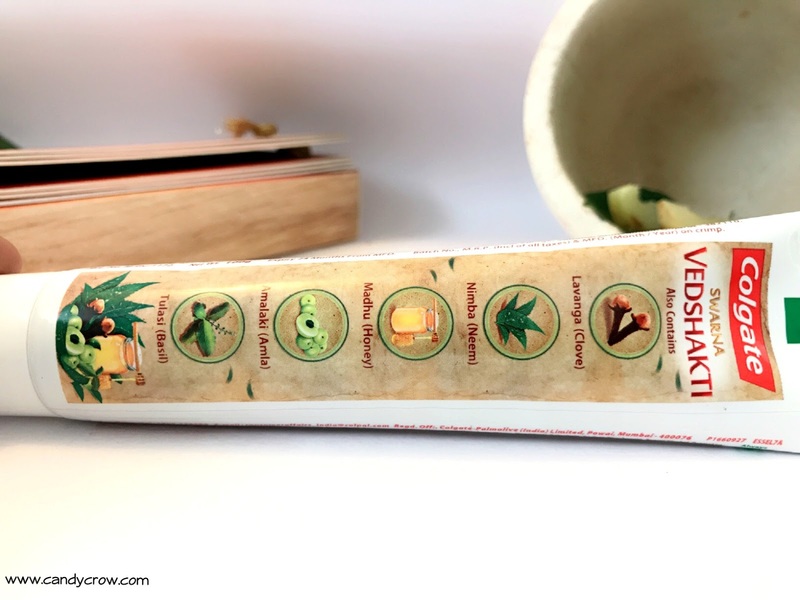 Neem- This wonder leaf has been used to deal with tooth decay for ages. 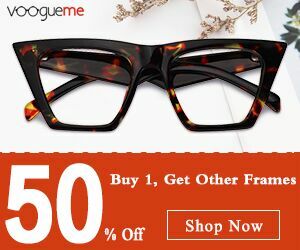 It also helps in improving oral health naturally. Aloe vera has amazing healing properties and help soothe swollen gums. Amla an active anti-oxidants is actually a powerhouse of nutrients. It helps maintain oral health. Clove has been used for ages to fight against oral problem. I have personally used clove oil to deal with a toothache, and it has worked like a charm. 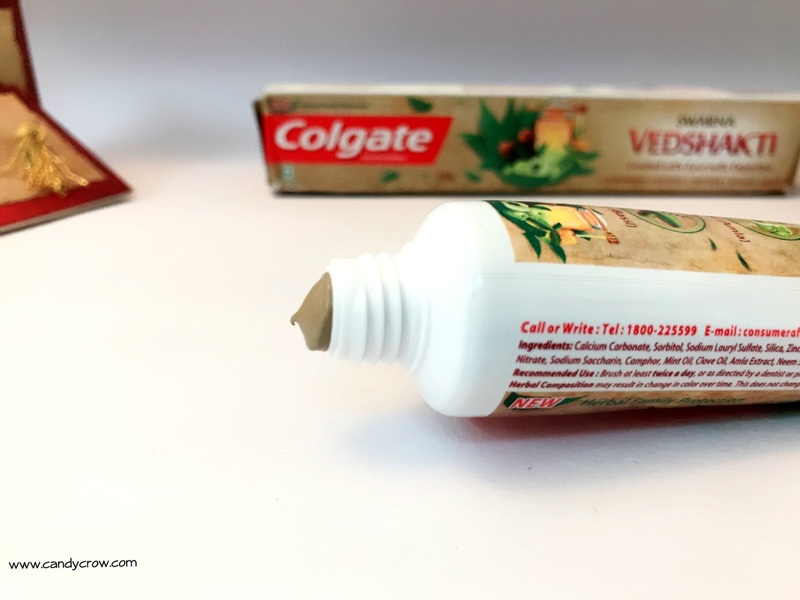 Colgate Swarna Vedshakti comes in tube type packaging, with an image of the traditional ingredients on it. The paste is light brown, and it has an amazing herbal fragrance. When I use this paste, the first thing that hit me is the revitalizing aroma of clove, camphor, and mint. It leaves the mouth refreshed, especially when you use it as the first thing in the morning. 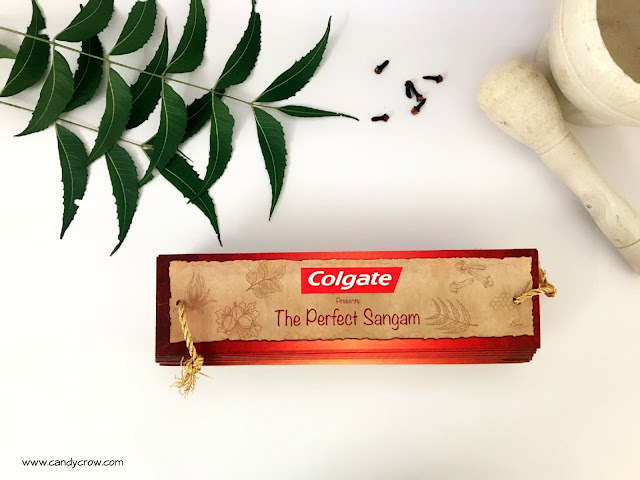 The herbal fragrance lingers around the mouth for an hour after brushing. I have used a few herbal toothpaste, and they left me with the slight burning sensation in the mouth, Kudos to Colgate Swarna Vedshakti as it does'nt have anything as such. I have been using this paste for one week, and I was able to see a visible difference in my teeth. I suffered from bleeding gums occasionally, after using this toothpaste my gums have become strong, and the bleeding has stopped. I also feel that my teeth have become more strong and healthy. Nothing that I could obviously notice yet. Colgate Swarna Vedshakti is an incredible blend of Vedam and Vinyanam (Tradition and Science) This paste is analogous to the refashioning of traditional saree with the contemporary corset blouse. It keeps your teeth fresh, strong and healthy. 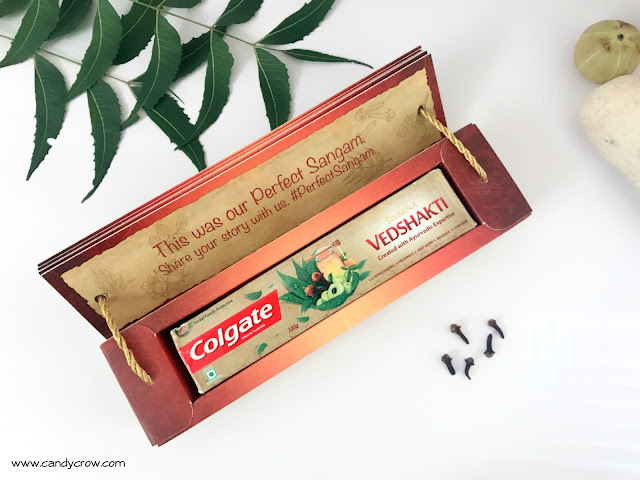 The amazing herbal fragrance of Colgate Swarna Vedshakti makes it a must buy.